Event Story: For the first time, The Beach Bums play at Cheers Seafood and Grill, an excellent restaurant and bar (where everybody knows your name..???). Come listen to some tropical folk-rock, order a drink and say......"Cheers!" For the first time, The Beach Bums play at Cheers Seafood and Grill, an excellent restaurant and bar (where everybody knows your name..???). 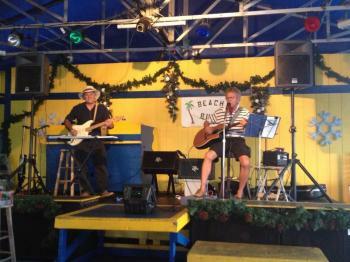 Come listen to some tropical folk-rock, order a drink and say......"Cheers!"